Smile. You can eat what you want. Dental implants are designed to provide a foundation for replacement teeth that look, feel and function just like your natural teeth. 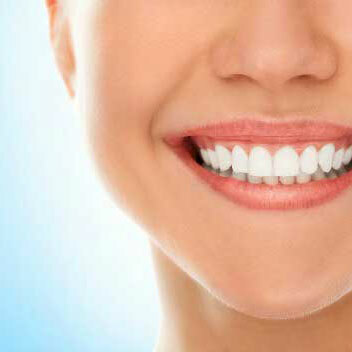 In fact, dental implants may be the next best thing. At Smiley Dental Group, our patients who have dental implants regain the ability to eat virtually anything they want and can smile again with confidence. Dental implants can replace missing teeth without affecting adjacent teeth, prevent shifting of other teeth, solve bite problems, assist with chewing, speech and digestion, support facial tissue and secure existing bridges or dentures. The dental implant process requires a few appointments over a period of time. Drs. Smiley and Holowicki will consult with you to determine if dental implants are the best choice for you. Our initial evaluation will include a dental hygiene exam, digital x-rays and overview of your health history. For most patients, the placement of dental implants involves one surgical procedure. First, implants are placed by a periodontist or oral surgeon. For the first three to six months following surgery, the dental implants are beneath the surface of the gums, gradually bonding with the jawbone. You should be able to wear a temporary appliance and eat normally during this time. When ready, attachments will be connected to the implants. Replacement teeth, made in our on-site laboratory, are then custom-fitted over the attachments. This may require a few appointments to ensure proper alignment. The entire dental implant process takes approximately six to nine months. Dental implants are dramatically changing the way people live. At Smiley Dental Group, our patients can rediscover the comfort and confidence to eat, speak, laugh and enjoy life.